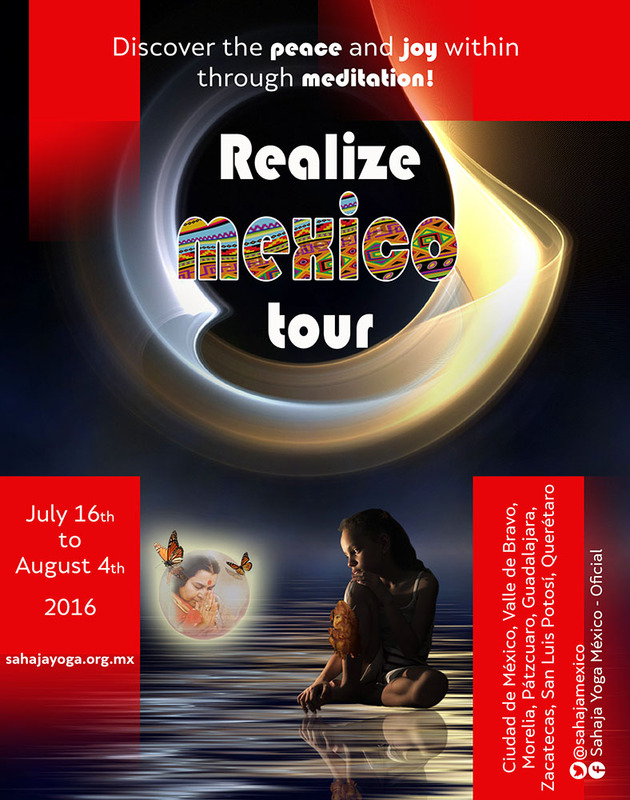 With great joy and excitement, the Mexican collective is happy to announce and invite you to the first Mexico Realize Tour to be held next July. With the blessings of our Divine Mother we, yuvas and all the Sahaja Yoginis/Yogis who like to join us, are going to give Self-Realization to the seekers of truth in this beautiful Latin-American country. Our small but open-hearted collective wishes to share this amazing opportunity with our brothers and sisters from all around the world to spread the joy and peace of the Spirit. We’re going to travel across some of the most important cities in central Mexico for three weeks, from July 16 to August 4. All Yoginis and Yogis who have the desire to join are welcome to do so. Also, if you are interested in supporting us through some artistic performance, please let us know so we can include it in a public program. 16th to 17th - Mexico City (visit to Teotihuacan pyramids also). 19th to 21st - Valle de Bravo, State of Mexico. 22nd to 23th - Morelia, Michoacán. 25th to 28th - Guadalajara, Jalisco. 29th to 30th.- Zacatecas, Zacatecas. July 31st - San Luis Potosí, SLP. 1st to 4th - Querétaro, Querétaro. We will be staying in hotels and in yogis' houses. We will travel by comfortable chartered buses. The shuttle from the airport will be organised by the local collective.